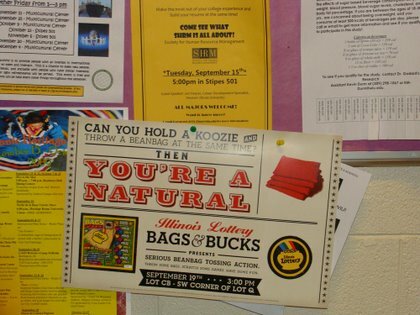 Throughout September and October, we’ve been working to promote theIllinois Lottery’s Bags & Bucks scratch off game at a number of different college campuses in Illinois. 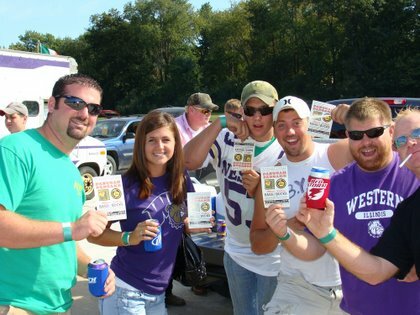 The idea was to promote the Bags n Bucks card through a series of tailgating events prior to college football games. We targeted major D1 football teams in Illinois such as, Illinois State University, Northern Illinois University, Northwestern University, Southern Illinois University Carbondale, University of Illinois at Urbana-Champaign, and Western Illinois University. 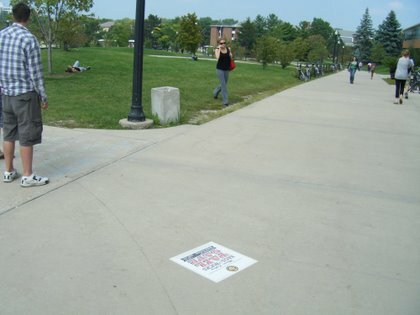 The event displayed a large, branded van that provided the power for the Wii game “Target Toss Pro – Bags” contest that the students could play. There was a physical bags game on site as well, in case the lines for the videogame were too long. The highest scorer received various Bags & Bucks premiums. Other players would receive smaller Lottery premiums as well. 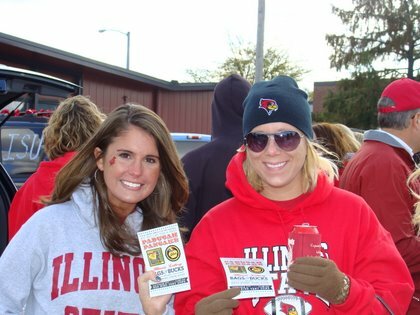 Actual lottery tickets were not handed out, due to the university restrictions, but a series of campus bar events were also executed with live contests to win tickets or other Lottery merchandise. 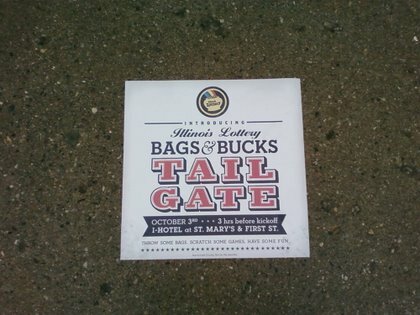 Because of the complexity of the event and the fact that the Lottery wanted to be present at the on-campus tailgate areas, it was necessary to get permission from the campuses to secure the locations. 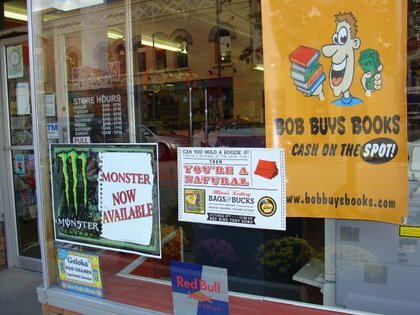 While there were a couple schools that would not allow the Lottery to be on campus due to policies against gambling, most of the schools did not take issue with it. 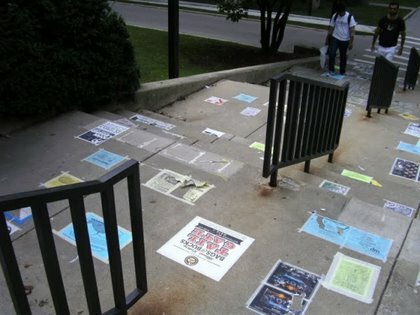 We implemented media promotion of the events on each campus with multiple newspaper ads, campus posters, and vinyl sidewalk graphics. 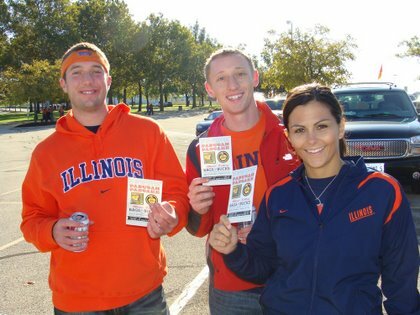 Street teams also handed out flyers the day of the event to drive student traffic while The Lottery Twitter page buzzed with event updates.